Once found all over South-East Asia and even the far reaches of Southern China, orangutans have found themselves squeezed to just the two islands of Sumatra and Borneo. The great red-haired apes have been around for almost 400,000 years, but have seen their numbers dwindle alarmingly from over 200,000 a century ago to only 45,000 presently. The habitats of this iconic animal have been pushed to the rain forests in the northern fringes of the Sumatra island of Indonesia and just the south-eastern part of Borneo, the only two places on earth where they inhabit naturally. The most important intake of the orangutan is fruit, which makes up almost 60% of the ape's diet. It consumes over 300 food items that include leaves, insects, honey, bird eggs and even tree bark. The orangutans give birth during the peak fruit season when their intake reaches a high of 11,000 calories per day and 2,000 per day in the low fruit season. So imagine what the overnight decimation of million-year old forests that sustain the very life of these wonderful beasts could do. The shocking fall of the orangutan population in the last decade from around 65,000 to just 45,000 is testimony to this phenomena. Behind this is the growing world thirst for palm oil. What makes palm oil desirable is that it is cheaper and more efficient to produce than other vegetable oils and also has a longer shelf life. It is a vital ingredient in almost 40 percent of the world's fast-moving consuming products ranging from toothpastes to candy bars and bio-diesel. Indonesia and Malaysia alone account for over 85 percent of the world's palm oil output and with the demand for the product having grown five-fold since 1990, manufacturing has gone on overdrive. The result has been the swift decimation of forests by bulldozing and burning, clearing the way for palm oil plantations. Shockingly, in the past three decades, an incredible 8.7 million hectares of tropical forests have been wiped out in these two countries, an area that almost equals the size of Netherlands. The orangutans have witnessed an almost 80 percent decimation of their habitat since the early 1990's. The Indonesian fires of 1997, caused by massive slash and burn tactics by farmers, accounted for a catastrophic one-third of the orangutan habitat in that country. 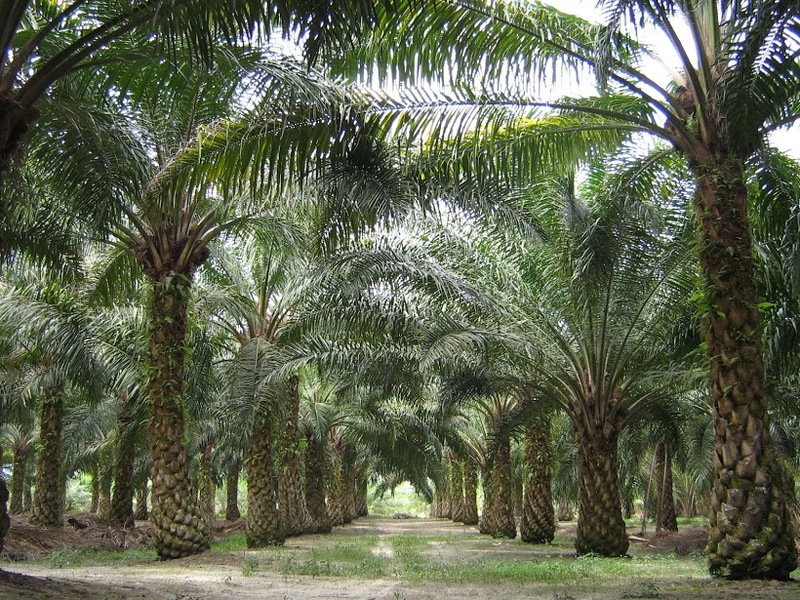 The palm oil industry is also wreaking havoc on the environment and human health. Clearing one hectare (about two square acres) of peat forest can release 6,000 tons of carbon dioxide into the atmosphere. Tropical peat lands store up to 10 times more carbon than mineral soil. Draining and planting on these land is estimated to be up to 10 times more detrimental to the environment. Experts have highlighted that palm oil, second only to soybean oil as an ingredient of cooking, is so high in saturated fat that one tablespoon contains 55 percent of the daily recommendation. What hits the orangutan the hardest is the loss of habitat - their basic ecosystem is destroyed. The smoke from fires is another killer. The animals are forced to move to other areas to be met with hostility from villagers. Thousands have been clubbed to death, hacked by machetes or simply shot. Orangutan babies have also been known to be sold into the lucrative and illicit wildlife trade. There have been instances where palm oil companies have resorted to annihilation of the apes on a massive scale. In one year alone, around 1,500 orangutans were clubbed to death by palm workers. Humans also suffer. The U.S. Department of Labor ranks the palm oil industry as one of the top four worst industries for forced and child labor. In Indonesia, the industry is responsible for about 5,000 land and human rights conflicts. Animal rights activists fear that in another 25 years the orangutan could become extinct. It is estimated that 1,000 orangutans are killed a year and 300 football fields of forest are cleared every hour for palm plantations. Other animals are also at risk. Palm oil development creates easy access to habitats for poachers. The Sumatran tiger population is expected to be extinct in just a few years if actions are not taken to protect their habitats. Thanks to the tireless efforts of animal activists and conservationists, the palm oil industry is beginning to sit up and take notice. Organizations are working with those sensible in the palm oil industry, and local villagers, to educate them on the need to conserve areas for orangutans. Some areas of no deforestation have been demarcated, ensuring safe and peaceful existence of orangutans. Tanjung Puting National Park, Sebangau National Park, Kutai and Gunung Palung (all in Borneo), the Gunung Leuser National Park on the border of Aceh, and North Sumatra now offer safe havens for orangutans. Conservation areas in Malaysia include the Semenggoh Wildlife Centre, Matang Wildlife Centre and Sepilok Orang Utan Sanctuary. In 2013, two of the biggest palm oil giants, Golden Agri-Resources and Wilmar International, joined hands to commit to a zero deforestation policy on all the palm oil they produced, sourced and traded. Unilever, the world's largest buyer of palm oil (it buys 1.5 million tons annually) was brought into the plan. Other consumer majors like Nestle, Kellogs, Colgate-Palmolive and P&G followed suit. Despite this progress, only 35 percent of palm growers that are members of the Roundtable on Sustainable Palm Oil are actually certified by the RSPO. The other 65 percent are paying members, but have taken no action to adhere to the growing practices guidelines. For the sake of survival of the magnificent creature, the orangutan, more action must be taken. In just one decade the orangutan population has decreased by 50 percent. Only 6,300 Sumatran orangutans remain. Animal activists can take action by weaning themselves off palm oil, purchasing palm oil alternatives, encouraging companies to commit to sustainable palm oil, and supporting organizations working to help orangutans.